Centrica is pushing ahead with far-reaching electric vehicle charging solutions plans with the creation of a new team that will work with domestic and business customers. The energy and services company announced late last summer that it was launching a new intelligent EV charging service offer for businesses following its investment in a charging management platform. The group’s Centrica Innovations division made a multi-million-pound investment in Driivz, an Israeli start-up that offers end-to-end software solutions for electric vehicle (EV) charging, as part of a £9m ($12m) funding round. Driivz has developed a cloud-based EV charging operating system that offers charging network operators, car manufacturers and utilities an end-to-end solution to manage all aspects of EV deployment, and Centrica Plc is now supercharging its electric vehicle ambitions with the founding of the Centrica Mobility Ventures team. The team will build on Centrica’s experience as an installer of more than 17,000 EV chargers globally and the launch of a new smart time-of-use tariff from British Gas that offers homeowners cheaper electricity overnight to charge their car. 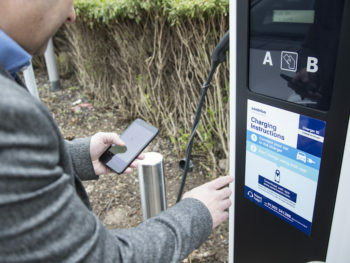 As a first step, the Mobility Ventures team – which will work across Centrica’s international Consumer and Business units – is teaming up with car manufacturers to support their dealership networks on EV readiness, providing a one-stop shop for end-to-end charging delivery including charger infrastructure, energy management, financing, and optimisation – but fleet and consumer projects are also in the offing. The Centrica Business Solutions team is working to build EVs into its offer on the business side, which covers onsite generation, storage and optimisation – a spokesperson said the group expects that to be in the market within the next couple of months. And British Gas is also working on a new EV charger and installation service for homes that is set to launch in the first half of the year. Charles Cameron, Centrica’s director of technology & engineering and chairman of Centrica Innovations, said: “The direction of travel for EVs is clear but we know from talking to our customers and partners that many are struggling to find their way through the implications of roll out at scale.